“E” Is For Equinoctial Egg On Its End (47/365 v2.0) – Annoyingly Boring? 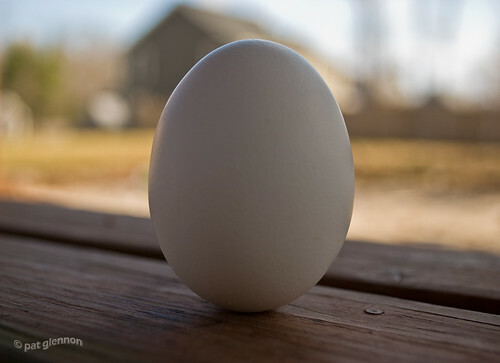 Despite thoughts to the contrary, you can balance an egg on it’s end any day during the year. Nonetheless, with the first day of spring falling on the same day as “E” in the A-Z challenge, I present you with an Equinoctial Egg on its End. Gravity! It’s good for more things than three …..
Ruprechts last blog post..Screenwriter, Co-Creator ….. This is pretty cool! And thanks for the inspiration. I still haven’t tried that. I’m going home to do that as soon as I get off work. I hope my kitchen counter is level. Nicely done. I love the focus on this one.